Machined, tested and manufactured in the USA. Excellent strength and whip characteristics coupled with high-quality bushings and thoughtful details make this a bar for discerning athletes. Both bar and sleeves on this model feature a bright zinc finish. The bar itself has a medium-rise knurl that’s not too sharp, not too flat. Each sleeve features long 16.5-inch plate load areas; a beveled, one-inch-thick collar; and dual Oilite bushings that provide a good amount of spin. There’s a moderate amount of whip for Olympic movements, and carefully selected alloys have resulted in a bar with an impressive tensile strength of 190,000 pounds and a yield strength of 175,000 pounds while maintaining a very competitive priIs a reasonably priced, American-made bar with 10 bearings even possible? In the new Legend Bearing Bar it is. All the spin and quality you need without a price that will break your budget. Manufactured to Legend specifications, this bar is 100% made in the USA from turned, ground and polished steel. 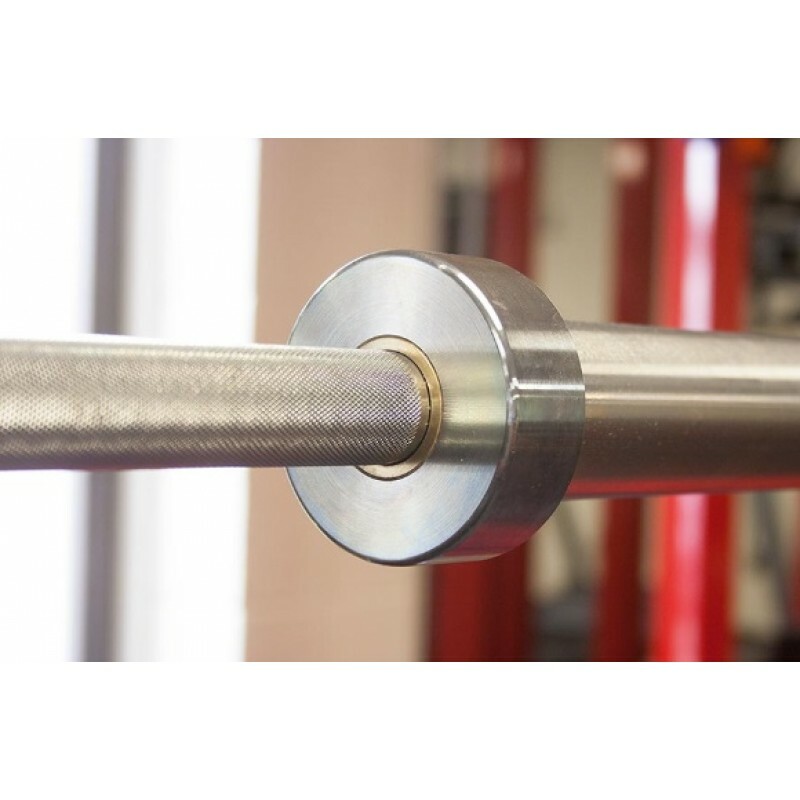 Featuring Olympic marks only with light knurling (but no center knurling) and bright zinc plating, this bar provides the right amount of grip and hand placement information for explosive lifts. The ten needle bearings are packed with quality lubrication, but once that loosens up a bit, they will spin and spin and spin! Sleeves are zinc plated, with 16.25-inch load length and a beveled 1.25-inch thick collar. Also, if ever the bearings should need servicing, this bar breaks down in the field without the need for a vice or special tools, so you can extend the service life of this bar until it becomes an heirloom.e.